Upload stuff to CompliSpace? 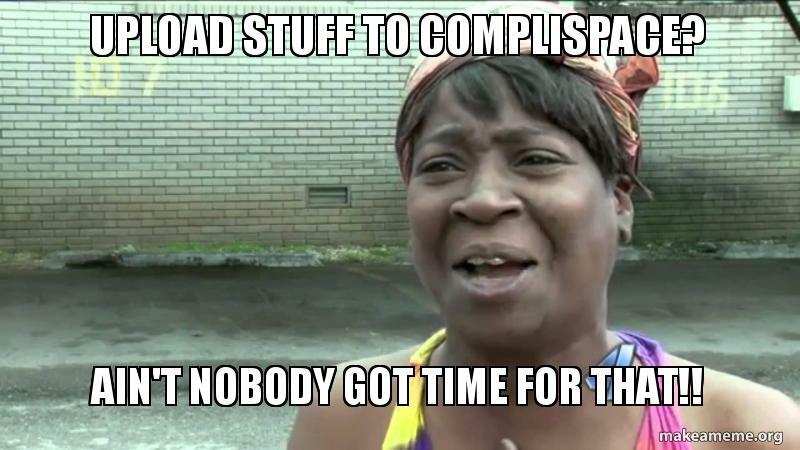 - Ain't nobody got time for that! !